Noxcrew are a community of mapmakers from across the world who have been working together to create Minecraft experiences since 2011. 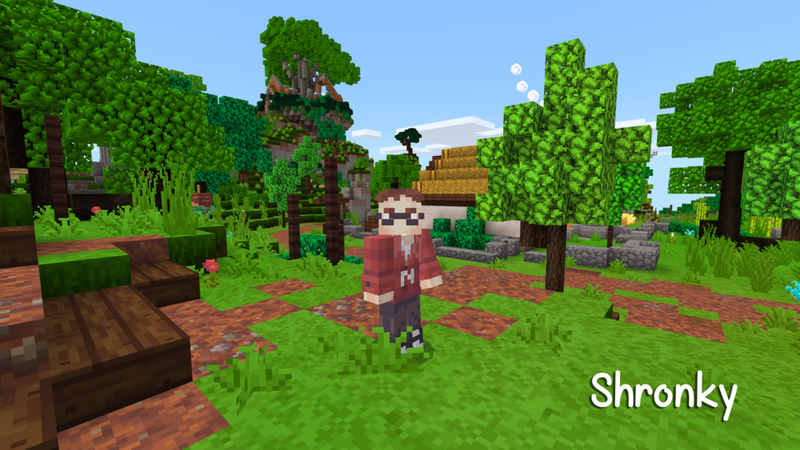 We create adventure maps, skins and texture packs to sell on the Minecraft Marketplace and pride ourselves on the quality of our maps and the attention to detail that we give to every single project. It's these qualities that have given the opportunity to work with incredible companies such as Yogscast, Multiplay, Apple and Microsoft. Our most ambitious projects to date include The Noxcrew Gameshow series and our most popular map of all time, elytra adventure map Terra Swoop Force. We develop everything in-house with builders, writers, artists, voice actors, sound designers and musicians all finding a place on our team! To see all of our projects and how to get your hands on them, click here. Our founder, sound designer, voice actor and overall glorious leader. He's the one with the vision. There's no Noxcrew without Noxite! How to explain Mewulf? He is the pragmatic realist of the team, making sure we’re not thinking too big and keeping us in check. If it wasn’t for Mewulf, the Noxcrew wouldn’t be where it is today! Our master of redstone, Avondale is the wizard of command blocks and a mini-game enthusiast. If the Noxcrew dreams it, he can make it happen. Skyao is a talented artist with a great eye for logos and illustrations. She has an endless imagination when it comes to custom mobs and monsters with her all-time favourite being the star of our map, Escape From BLOZARK! 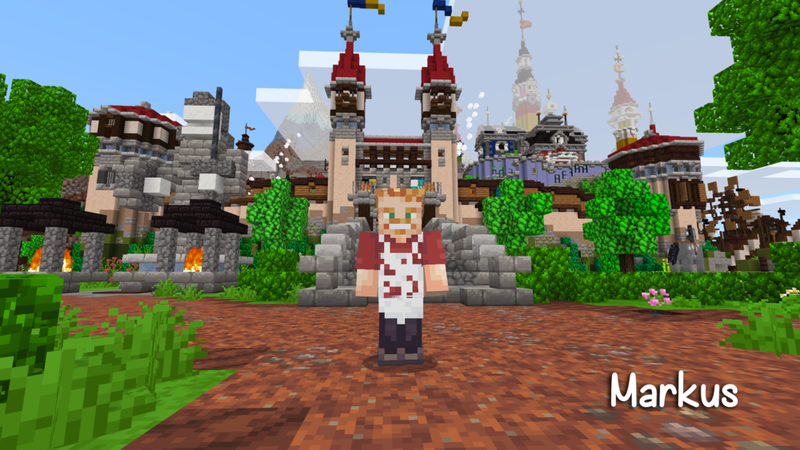 Beloved Butcher of the Noxcrew Gameshow and Head Builder, Markus is the man who keeps our builders in check and our projects looking spectacular. A musical maestro and the mastermind behind the Noxcrew Gameshow, Landlord has been the driving force behind our mini-games and music since the pilot season. Noctis is our amazing community manager, dedicating her time to taking care of our community of fans. You'll find her looking after the social media, running our patreon and organising game nights, streams and more! JakeL is a master in fantasy builds, making our worlds magical with meticulous precision and style. A scholar of the written word, Shronky’s the one to make us sound like we know what we’re doing, writing the stories and dialogue for our maps and shows, even the ones you haven’t seen yet! Another Jeoffrey’s Chamber alumni, e_mouse is a terraforming genius and master of design, here to help make every map a marvel. LaurenJuliet first met the Noxcrew at an Insomnia event back in 2013. She's now our PR & Marketing Manager, and helps out with odd jobs across the crew including social media and voice acting. Leader of The Noxcrew Factory team, Arsenic works full time as head server honcho and Noxcrew texture artist. Noxcrew's Tiny Footprints texture pack created by Arsenic can be found on the Minecraft Marketplace! Long time coder for The Noxcrew Factory Server, _Crafty helps us behind the scenes and keeps our servers up to spec. Tom is an ambitious person, bot inside and out of Minecraft! One of our part-time level designers, Tom describes himself as having a simple, yet elegant build style . He makes a great addition to our build team! Bambii is a hardworking, no nonsense builder with the drive to get things done. He's a part-time builder and usually helps out a little on most of our projects! Having been a part of the Noxcrew & Friends community for many years, we're welcoming Stu on board as a part of our gameplay team. Alongside Avondale, he'll be focussing on bringing our maps to life with in-game mechanics! The multi-talented Skye joins our creative crew as a 3D model and pixel artist. With previous experience on the Minecraft marketplace, she'll also be lending a hand with our build team from time to time! 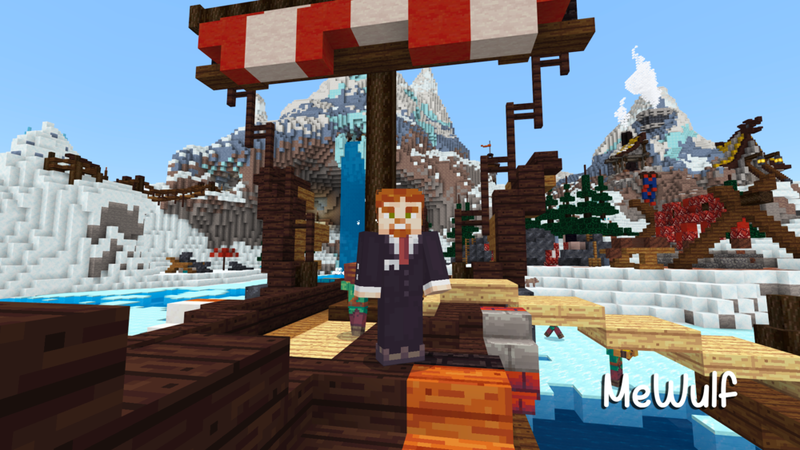 Marius, self proclaimed ‘professional geek’ and creator of the hugely popular Minecraft Replay Mod which allows players to record, replay and share their in-game experiences, joins the team to help make our maps fancier and even more exciting.